Julio is a technology driver with both global and future development vision, curious by nature, electronic engineer and medicine as roots, expertise in top end technology as product development, software, cryptography and security, robotics, AI, CV, Bioelectronics, renewable energies and more. Julio is graduated in Electronic Science and Engineering with a specialization in biomedicine and bioelectronics by the Simón Bolívar University (Venezuela). Excellent communicator and negotiator, a highly adaptable professional and very enthusiastic with latest technologies. A great executive business man and entrepreneur with large experience in leading projects, groups and team working and a long proved experience on foreign markets, product design and China manufacture, chains of supplies and mass production. He started working in a multinational company as QA tester developing his career and achieving a position within the Hardware development lead in Taipei, Taiwan main factory. Later, he decided to go for a change and studied a Master Degree in Robotics and Automatization so to continue as an entrepreneur by opening his own company dedicated to hardware and software development (robotics, animatronics, artificial intelligence, artificial vision). 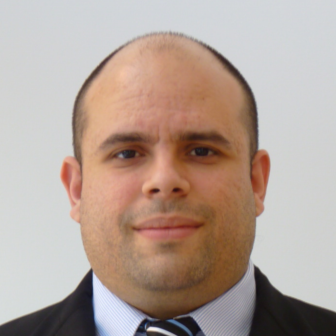 Now he´s being part of Biocryptology as CTO of the group. His focus has always been creating the most disruptive product in the area in combination with the best user experience, the highest quality and scalability, together with his future development vision, innovation and passion. These characteristics are some of his greatest strengths that he has applied to successful development of the Biocryptology Platform Technology. Check out the incredible speaker line-up to see who will be joining Julio.